April 10, 2014 Samy finished his first high school year of track finishing 12 in discus and he also competed in shot put. April 1, 2014 Samy finished 4th in disc with a throw of 99'10" and 8th in shot put with a throw of 35'10". Samy competed in the Steinbrenner meet in Tampa he threw a 35'3" in shot put and 108'11.5" in discus. 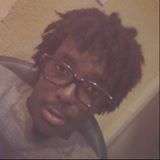 March 12, 2014 At Hallandale Dillard and Northeast Samy threw a 110'3" an finished 3rd in disc he finished 5th in shot put. 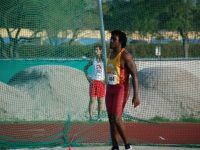 March 8, 2014 Hallandale Invite Samy threw a 100'10" in disc and a 35'2'" IN SHOT PUT. 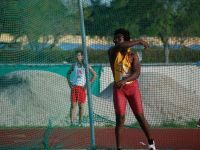 February 27, 2014 Samy got a personal best with a 35'11" in shot put and a 102'6"
February 21, 2014 Louie Bing Samy threw a personal best in disc with a 122'10" finishing 14 out of a field of 71. He just missed a 40' mark in disc. February 19, 2014 Samy threw a personal best of 109'7" and finished 3rd in disc. He also threw a 34'7" and finished 5th in shot. February 12, 2014 Samy competed in his first high school meet at Cardinal Gibbons. It is also his first evening meet it was cold and raining. Samy finished 3rd in discus with a throw of 108'6" and 35'1" in shot put.